Keith Adams tells the story of the Rover P7, a series of prototypes to test new engineering solutions for the upcoming P8, as well as planned expansions to the P6. The story has been updated with amazing new video footage of the anti-roll prototype in action. 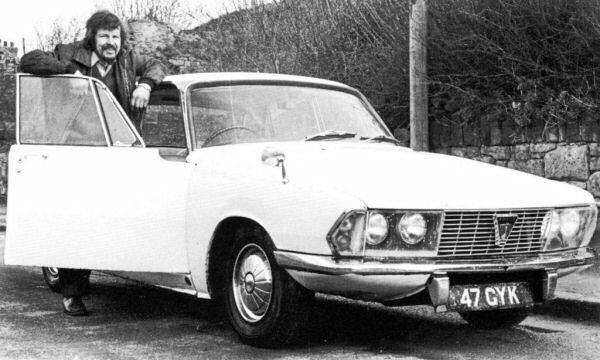 So, what’s the Rover P7 story? Although the Rover P6 had been launched to ecstatic reviews in late-1963, the main gripe the media had about the car was the lack of refinement from its 1978cc four-cylinder engine. This would have answered that criticism. Existing Rover models such as the P4 and P5 had smoother six-cylinder engines as, indeed, did the cars from Coventry upstart, Jaguar. More seriously, the Triumph 2000, which was directly aimed at the same market sector as the P6, could also outgun the P6 in the silkiness stakes. In addition to this problem, Rover faced the more serious conundrum of developing new, lighter engines to replace the 2.6- and 3.0-litre IOE units used in the P4 and P5 saloons. Rover’s Sales Department had wanted the P6 to have a six-cylinder engine from the outset, and so, in 1962 and before the P6’s official launch, Jack Swaine’s Engine Department began to investigate a number of possibilities. The logical thing to do was to build a six-cylinder version of the modern P6 four-cylinder engine. Using the same bore and stroke as the four-cylinder produced a swept volume of 2967cc. The six-cylinder engine certainly produced the required grunt but was 50% longer, which according to James Taylor’s 1996 book Classic Rovers 1946-1986, required a longer nose for the P6 testbeds. As there was concern about funding of the new engine, a number of Rover P7 prototypes were built using a 2.6-litre version of the old inlet-over-exhaust engine to simulate the 3.0-litre P6-based straight-six. 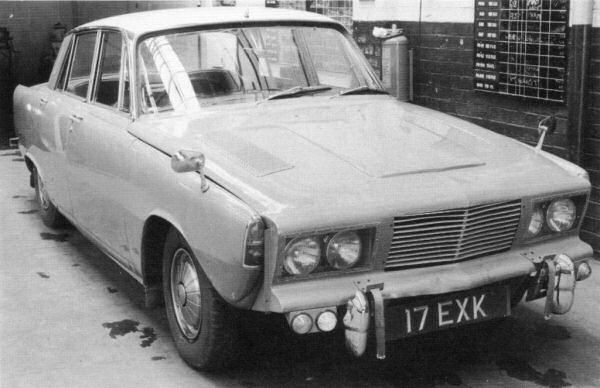 These were designated P6/6 (the full list of P7 prototypes is listed below), but the arrival of the Rover V8 engine negated the need for this developmental direction. Despite that, the P7/4 prototype was capable of 128mph, and its six-cylinder engine was quieter and smoother than the P6 unit. The first three P7s were scrapped but the fourth was sold to Edward Eves, at that time Midland Editor of Autocar (below). 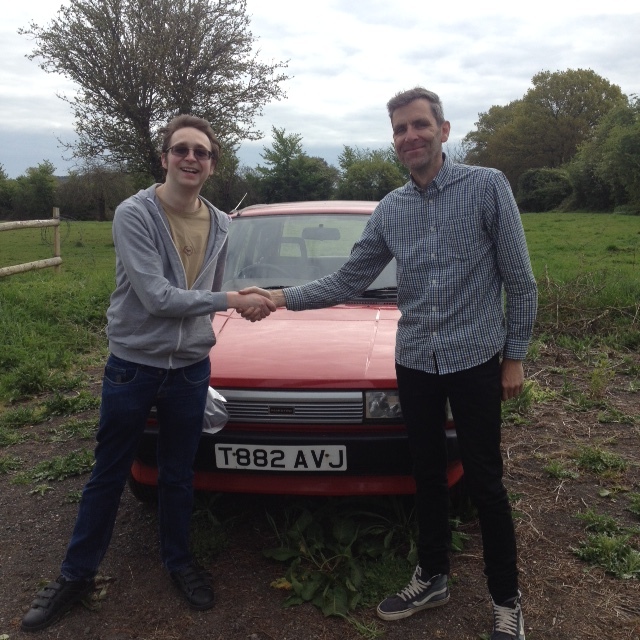 He sold it to Ian Glass, an enthusiast in North Wales, who still owns the car. ‘The P7 was purely a development thing. But there was something that we called P7A, which was no longer than the P6 and had the six-cylinder engine in, and double wishbone suspension… To say that it would not go into the car was wrong. In P7, it stuck its nose out and was too heavy and everything,’ he added. ‘It’s not a bad motor car, that engine was a pretty good engine actually. That was too heavy somehow. In other words, if you make a four into a six, you oughtn’t to have to make it 50% heavier because a lot of the stuff there is the same as the four-cylinder. But, in fact, somehow or another, it got a very heavy sump or something, and it made the engine very heavy. As well as the various engines fitted, the P7 programme was used to test alternative suspension set-ups. At the front, the P7 received a new double-wishbone front suspension mounted on a subframe. This was isolated from the body by four cylindrical interleaved rubber bushes. Various roll centre heights could be tested thanks to the inner pivot height of the upper wishbone being adjustable. was possible, thus allowing various roll centre heights to be explored. Later P7s were modified at the rear to incorporate a fixed-length de Dion tube, forward of the wheel centre line. This pivoted on a complex rubber bearing mounted on the axle extension housing. Constant velocity plunging driveshafts were used and diagonal radius rods completed the location. Early assessments were very encouraging with major improvements in ride, handling and road noise reduction. Rex Marvin, Engineering Manager at Rover, recalled: ‘The usual development programme of spring and damper optimisation, suspension bush rate selection and tyre selection occupied and educated our small team of engineers. Once built, the system worked well: ‘It provided ride-height correction for increasing payload without adding roll stiffness. The knowledge gained was fed into the Design Office for incorporation in Rover P8. Rex added: ‘The in vogue handling test at the time was to assess the car’s response to sudden closing of the throttle when on the cornering limit but making no attempt to correct any subsequent deviations. I had done this test dozens of times in the P6BS on the Lucas Proving Ground at Honiley to select a suitable tyre to eliminate the unwanted oversteer. Denis Chick, a former Rover Apprentice, recalls the story of the anti-roll P7 and its involvement in the Rover P8 programme on that page. According to James Taylor, the P7A came close to production although Spen King denied this. However, in Taylor’s account, the cost in new body tooling prohibited the final go-ahead. Had the P7A gone into production, it would have been called the Rover 3000 to avoid confusion with the existing Rover 3-Litre. This resulted in the smaller-engined P6 being christened the Rover 2000 instead of Rover 2-Litre. Instead, in 1964, Chief Engineer Robert Boyle suggested that the company develop a five-cylinder variant of the P6’s 1978cc four-pot. The resulting engine had a swept volume of 2472cc, and presented Rover’s Engineers with the problem of in-car balance. Spen King’s take on events and the origins of the five-cylinder engine are as follows: ‘I think it came mostly out of Brian Sylvester, who was Head of Research. It was a pretty sensible idea. Fortunately for Rover, the company’s Managing Director, William Martin-Hurst, had stumbled across a discarded light alloy General Motors V8 while on a visit to the USA in 1963. The engine was compact, powerful, reliable and just what Rover needed. Rover bought the rights to manufacture this engine, cancelled the various P7 projects and was now able to move forwards convincingly. The V8-engined P5B appeared in 1967 and was followed, in April 1968, by the V8 P6B, now known as the Rover 3500. Could the Range Rover have happened with a 2967cc inline six-cylinder engine? Rover’s attempt to build a new engine on the cheap was over and a motoring legend was born. According to Rex Marvin’s article posted on Jim Shaw’s Serendipity website, there were several P7s built and tested by Rover’s New Vehicles Development department. 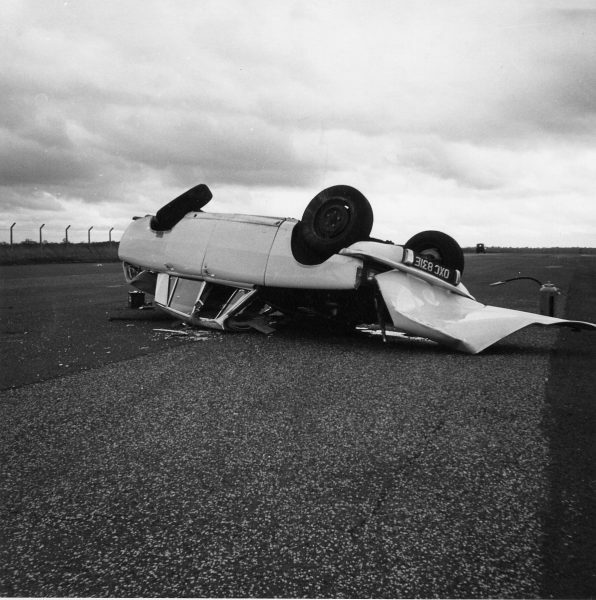 You can also see the details of each individual car, as well as Rex Marvin’s hair-raising account of how the P7 was crashed during testing (below), on Jim’s site. We had a 2.5 i5 Safrane and that was smoother than silk, and arguably than most of the v6 competition.. But then it was MPFI. 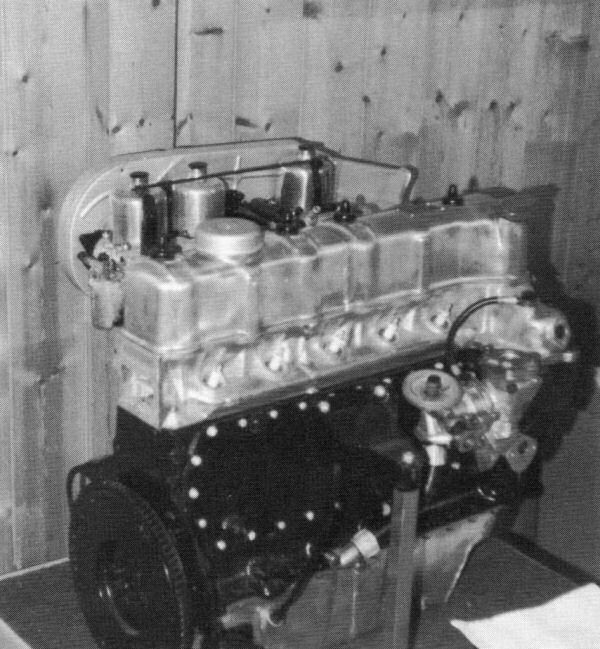 I can see why a carb i5 could be challenging but how about this; a fuel rail style manifold (like the Sceptre/H120 Rootes one) with three smaller carbs – two at each end and one perpendicular in the middle on a small two way sub manifold entering between 2-3 and 3-4 so 3 doesn’t get swamped), that way all the cylinders get a good mixture, although the throttle control runs might be a little complex. Or two slightly different carbs (or different jetting), 1 on a 3 branch & 1 feeding 2. I don’t think it’s an insurmountable problem by any means, it just would have required some effort. I think it was said elsewhere, but did the original Audi 80 and VW Passat not have a carb’d 5 cylinder? Think it was the 1.9 5-cylinder in the B2 Audi 80 that featured a Keihin carburettor, not sure how Audi/VW’s method could have been applied to the Rover Inline-5 though. Would fuel-injection have made any difference with the existing 2.0-2.2 4-cylinder P6 OHC engines in terms of power? Know that fuel-injection was intended for the P6 V8 at one point (along with Rover’s shelved multi-valve 4-cylinder and V8 projects). Would have been interesting to see the Range Rover use the 3-litre Inline-6 engine below the V8. With the Hyundai Accent 1300 engine there were both carb and EFI versions – basic carb version was 73hp@5500, latest EFI version 86hp@5500 but torque is almost exactly the same at the same 3000rpm, so in actual performance I doubt they differ that much. When everything is working, the MPFI engine is quite smooth, but the sensors are notorious (low battery voltage or a dud battery can screw them up spectacularly).. I’ve never owned the carb version (which in itself was an electronic feedback carb with EGR! A recipe for disaster). There was a carb version of the 2.2 8v Renault engine that put out 108hp at the time the MPFI was 123hp. I think its a driveability thing as well as basically being necessary for catalytic converters (unless you get really creative with EGR and other potential disasters) and easier fuel metering and mixture control. The trouble is it doesn’t guarantee you don’t get things monumentally wrong. Renault did a 2 litre 12v that made 140hp compared to the 2.2i 123hp but the multivalve torque curve was ridiculous, peaking at above 4000rpm so fuel consumption was abysmal (26mpg to 37mpg between the two). It all depends on the engine therefore. I suspect the Rover 2.0/2.2 to have a lot in common with the Douvrin 2.2 (roughly the same era) so depending on the state of tune of the actual engine itself you might have gained 10-15% additional HP with MPFI and a smoother drive, so long as the torque max stayed roughly akin to that of the carb version. It all depends on the resulting power/torque curves.. Get it right.. Smooth economical quick.. Get it wrong smooth quick and abysmal mpg. Interesting so potentially around 125-132 hp for a FI version of the 2000TC engine? Must admit I didn’t know that a 5 cylinder engine was in development by Rover in the early 1960’s, even though it didn’t reach production. I thought 5 cylinder engines didn’t come into vogue until the 1980’s/90s. Cannot see that working short of further boring out the Triumph I6 to around 2.7-litres, giving it a low-cost OHC conversion and finding a way of making the existing Triumph fuel-injection system reliable. I had an Audi 100 with 5 cylinders in the 80’s : 2.1 L I5, 115 PS (85 kW; 113 hp), carburetted (1978−1982) . there was only one carb and it iced up in winter if the flap to the duct over the exhaust was stuck shut. The Development Codes page mentions a V6 was also explored and curious to know whether it was a typo or an actual engine? The Jack Swaine 60-degree V6 IOE prototype is out of the question, while Rover never opted for the Buick V6, so it could either be referring to an all-alloy V6 version of the Rover V8 or an as yet little known clean sheet 60-degree V6 project. Fascinating. Thanks you. This car still looks so good. Tell me, what’s the music on the video?